Frack Off gave an excellent presentation at the Earth First! Winter Moot in Feburary and explained the horrors of Fracking. A lot of this post is taken from the Frack Off website and their fracking factsheet. I’m sure to most people this gas extraction technique shows how desperate the gas supply situation is. This culture is so insane, it is now condoning the potential destruction of all our fresh water supplies, the total industrialisation of what’s left of our countryside for a fraction of the energy needed to keep industrial civilisation going just that bit longer. Humans can live without the gas ― we have done so for most of our existence ― but humans and non-humans can not live without clean water. DGR is about trying to make people think about what is primary here? Electricity or water? Short term power supplies for capitalism and industry? or Life? 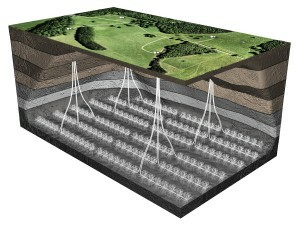 Coal Bed Methane is methane (natural gas) trapped in coal seams underground. To extract the gas, after drilling into the seam, it is necessary to pump large amounts of water out of the coal seam to lower the pressure. It is often also necessary to frack the seam to extract the gas. In common with other unconventional gas extraction, such as Shale Gas, CBM wells do not produce large amounts of gas per well and production declines very quickly. It is therefore necessary to drill large numbers of wells, covering a huge swaths of the landscape. CBM exploitation began in the US and over 55,000 CBM well have been drilled in the last decade or so, mostly in the western states (Colorado, New Mexico and Wyoming in particular). In Australia, where it is know as Coal Seam Gas (CSG), over 5,000 CBM wells have been drilled in Queensland in the last few years and the industry is aggressively expanding into New South Wales. In the UK CBM is more advanced than Shale Gas and full scale production may begin soon. Underground Coal Gasification (UCG) is a process for exploiting coal that cannot be mined because the seams are too deep, thin or fractured. The process involves using the same sort of drilling technology usually used for fracking to get air/oxygen into the coal seam and then set the seam on fire. 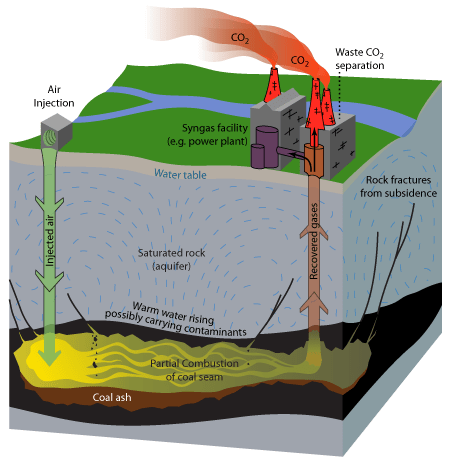 By controlling the amount of oxygen injected it is then possible to only partially burn the coal and bring the gases produced to the surface where they can be burn to produce energy. A witches brew of toxic and carcinogenic coal tars are produced in the burn cavity. The process is associated with serious groundwater contamination and massive carbon emissions. Small scale tests of UCG have been taking place on and off since the 1930′s, particularly in the Soviet Union and United States, and have usually resulted in contamination of groundwater. More recently there have been three tests in Australia, two of which have resulted in the plants being shutdown. After only a five day burn the well at the Cougar Energy plant in Kingaroy, Queensland exploded and subsequently benzene and toluene were detected in groundwater and in the fat of animal grazing on the surface. Full scale UCG would likely involve huge plants connected to multiple gasifiers, and might be similar to tar sands extraction in its scale and impact. 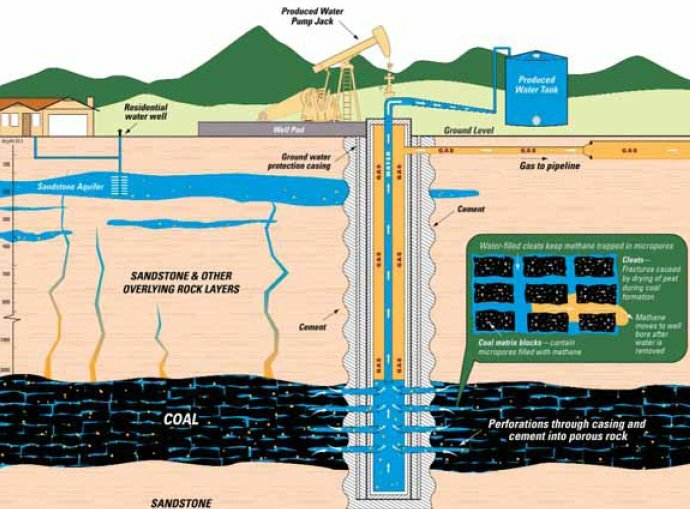 See Underground Coal Gasification: Hellfire and Damnation for more details. For more on UCG go to here and here. There are a very large number of side effects that have been linked to fracking, many involving contamination of water in some way. Methane contamination – The most well known side effect of fracking is methane contamination of nearby water (burning tap water syndrome). This can occur naturally in rare cases but seems to suddenly appear when fracking occurs. Chemicals used – Fracking uses huge amounts of water mixed with toxic chemicals, a large fraction of which are never recovered. It is claimed that the chemicals used in the UK will not be toxic (unlike those used in the US) but that seems highly unlikely once the process gets underway in earnest. Toxic contamination – While the fracking fluid is underground it is in contact with rocks at high temperatures and pressures. This can result in various material leaching out of the rocks into the fracking fluid. Of particular concern are toxic elements like arsenic that can be brought to the surface by this process. Radioactive Contamination – In a similar way radioactive isotopes (such as radium-226) can also be leached out of rocks the fracking fluid passes through. Biological concentration of these materials up the food chain would be the largest concern. Food supply contamination – While the most of the above might seem to be local issues the potential contamination of irrigation water means that everyones food supplies could be affected. You don’t have to live anywhere near a fracking site in order to be worried about your health. Air pollution – Fracking has also been linked with air pollution, due to the production of ozone and leaks of a variety of volatile chemicals. Increases in respiratory problems have already been reported around the first fracking site in the UK. George Osborne has subsidised fracking in the UK in the budget. Apparently there will be more tax breaks for fracking companies and they will be allowed to offset their exploration costs against tax for a decade. While there seems to be a “sweetener” in the form of proposed incentives for local communities. Is this an attempt to divide and lower opposition, get locals on side against the protesters and also divide local people. George Monbiot identified the UK Governments lack of regulation of fracking companies in in 2011 here. Then earlier this year the UK Government introduced conditions on fracking companies related to seismic activity following two small earthquakes in 2011 caused by Cuadrilla Resources exploratory drilling sites in north-west England. So far the UK Government have not dealt with any of the other side effects listed above. 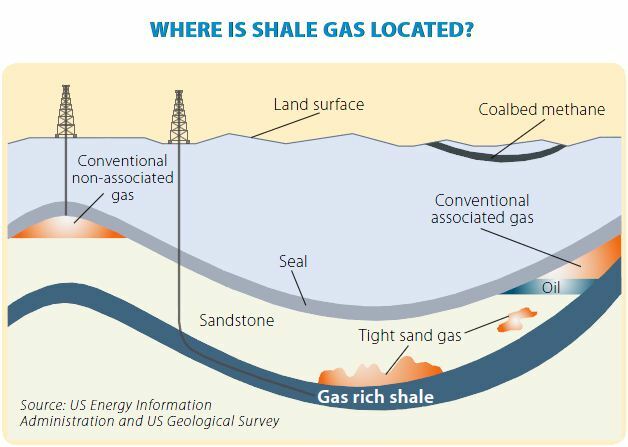 There are large areas of the UK where there are shale strata that might be able to produce gas. Cuadrilla Resources have obtained planning permission for 5 sites in the Blackpool area. They have completed drilling and fracked the Presse Hall well (causing two earthquakes) and their drilling rig is presently being set up at the Marsh Road site. Coastal Oil and Gas Ltd has obtained planning permission to drill core samples at a site near Maesteg, Bridgend in South Wales. If the samples prove interesting then larger scale tests (like those in Lancashire) could follow. Coastal Oil and Gas Ltd have put in an application to drill core samples through coal and shale strata at a site near Woodnesborough. If the sample proves interesting, then larger scale tests (like those in Lancashire) could follow. It is unclear when the planning application will be decided. See map on Frack Off website for more details. The are a number of companies that have shown interest in exploiting shale gas but only 2 appear to have reached the stage of actual testing. Cuadrilla Resources is a privately owned company headquartered in Licheld, Sta ordshire. The company was set up with $34.2 million from the Australian AJ Lucas Group and has recently received extra funding ($35.4 million) from the American private equity company Riverstone LLC. The company has a petroleum exploration and development licence (PEDL 165) covering a large area of Lancashire. They are in the process of carrying out test drilling and fracking at 5 sites in the Blackpool area (for which they have planning permission). Coastal Oil and Gas Ltd, headquartered in Bridgend, Mid Glamorgan, has planning permission to conduct core sampling at sites in South Wales and Kent. They are partnered with an Australian company Eden Energy. More details on them and other companies here. Please note that this information is being provided for aboveground organising. This entry was posted in Mining & Drilling and tagged 8: The needs of the natural world are primary on April 18, 2013 by Adam Beech.